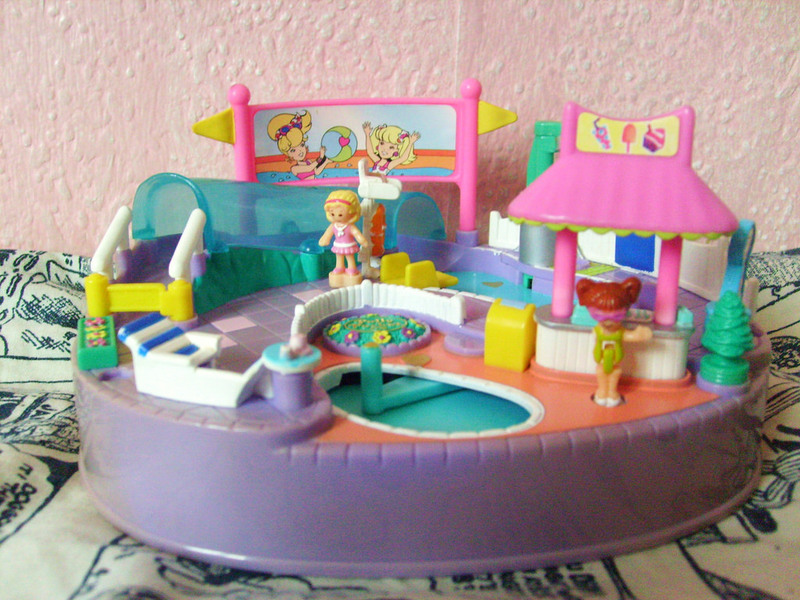 My fave childhood toy would most definitely be POLLY POCKETS. These toys were called as such because everything is pocket-sized, from the dolls to the accessories. Afterwards, they branched out to not-so-pocket-sized sets. 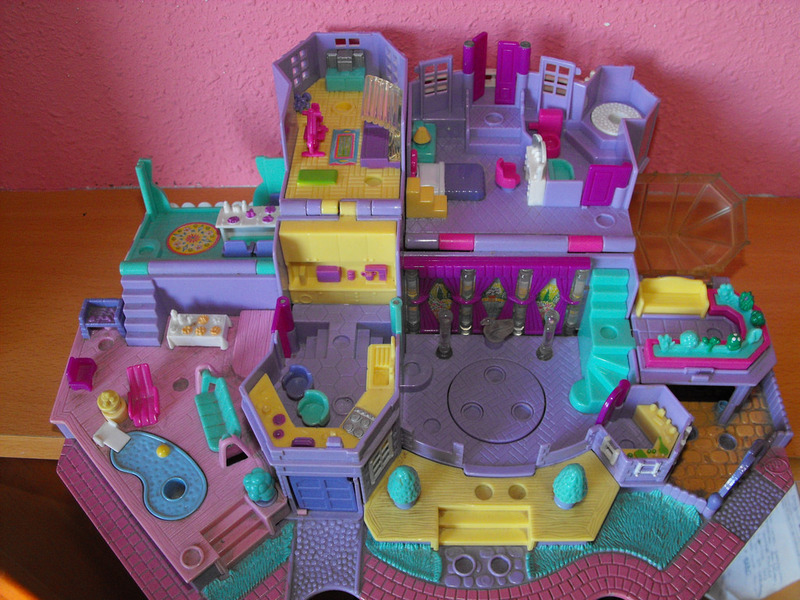 I loved playing with my polly pockets because I was able to make my own stories with it. I had these toys until I finished elementary. I gave it to my cousins and it is still on display in their house. 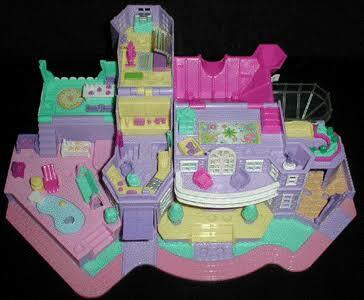 The first polly pocket I had is the mansion. This is how the exterior looked like. The garage door can be opened and you can park your pocket-sized car inside! Those little circles are the slots for your polly pockets. Those lights inside the lobby lights up so that your polly pockets can have a ballroom night. Your pollies can have a bubble bath. Your pollies can tend to your own garden. Make your pollies fit and fab in the workout room. There’s just so much going on in this play set. 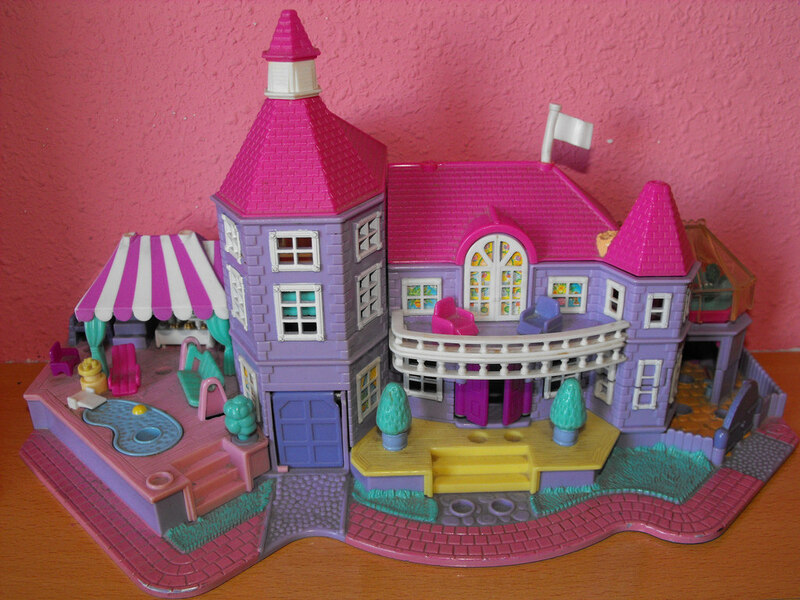 The pink roof on the right side opens up to the attic. The pollies in this play set are magnetic. If you see the handle-like thing in front of the flower garden, that is the control for the pollies. They can now move without you holding them. The pool can also be filled with water. You press the shower by the pool and it will spray water out.